Ever have a pet sitter and find yourself writing lots of notes on paper? 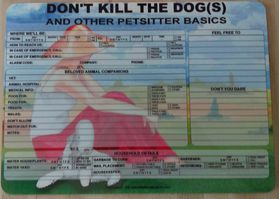 This dry erase board has everything your pet sitter will need to know, and then some! It's reusable, saving paper, and you won't forget any important information. 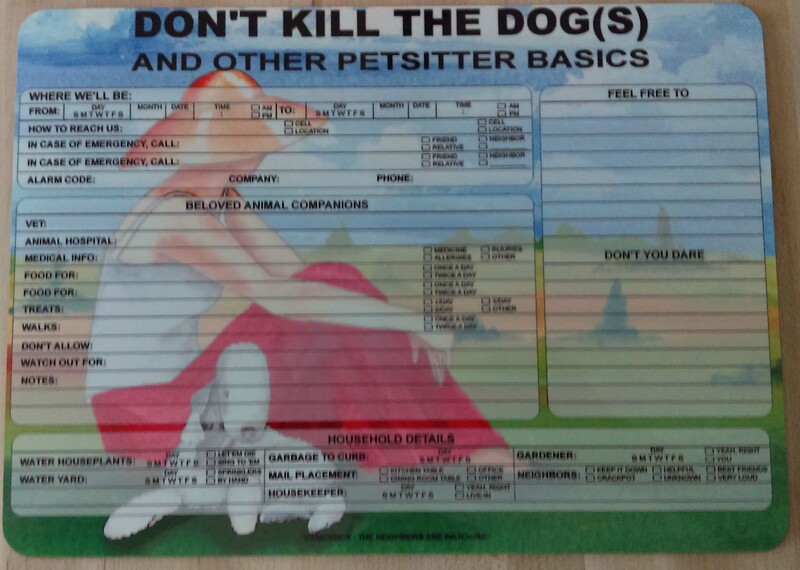 Just fill it out, hang it up and let the pet sitter know where it is. When you get back, erase the information and it's ready to go next time! Price includes shipping within the United States.